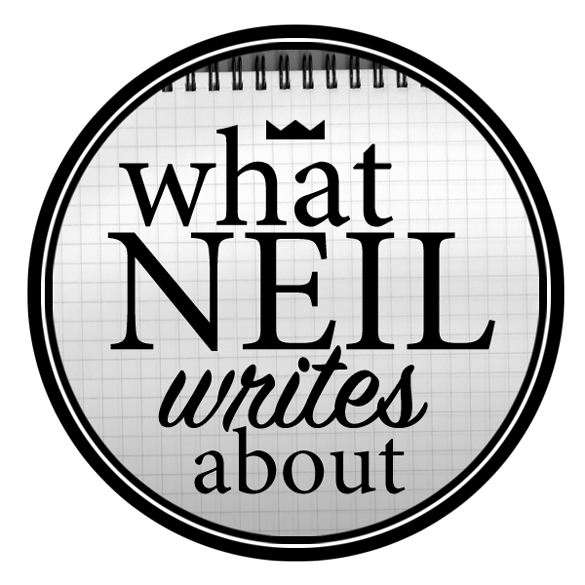 Neil's 4 of the Best Cebu Restaurants! 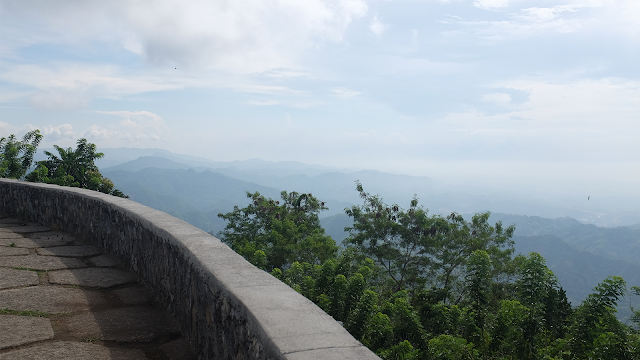 The view from Cebu's famous mountain top! 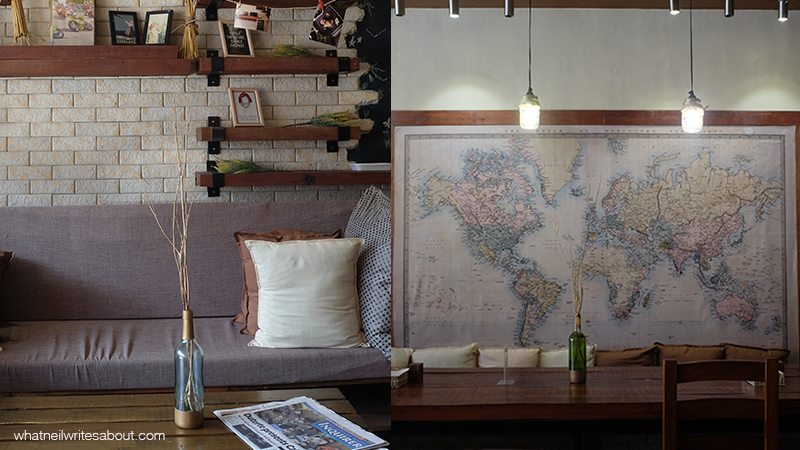 Yolk cafe is this unassuming place along Tres Borces Cebu city with homey interiors and accommodating staff! For their dishes, we could not get enough of their Eggs Benedict. The way it was cooked was perfect. The egg whites were firm and moist while the yolk was runny and flavorful. 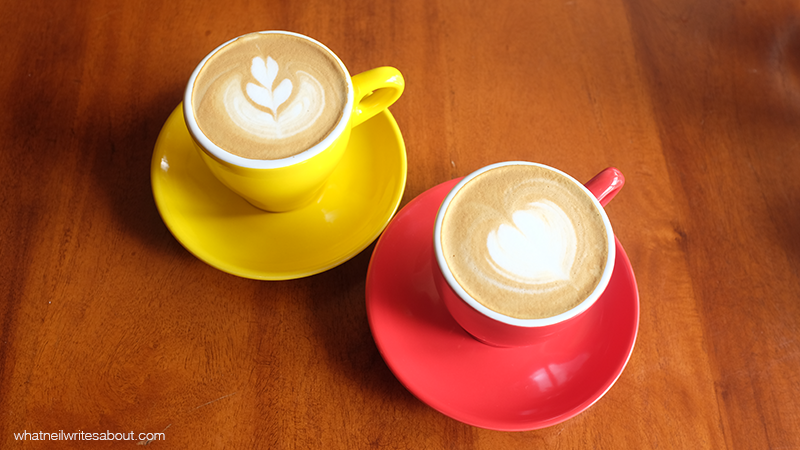 The daily dose of latte and cappuccino! For coffee we had the usual latte and cappuccino but what caught our eye was their signature Coconut Coffee cooler. 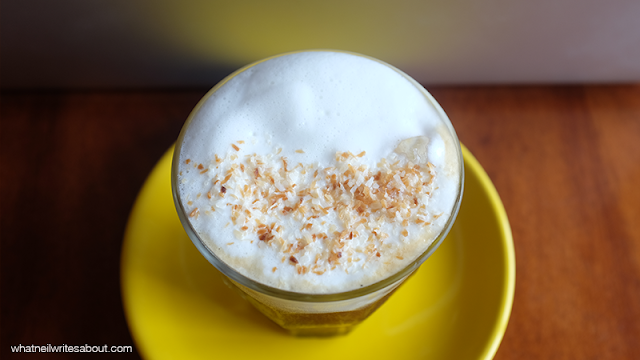 The coconut juice surprisingly blends well with their espresso based beverage and with coconut white shavings on top adds texture and constrasting flavors that complete the package It is no wonder that this drink has won international awards. We would come back for it in a heartbeat. 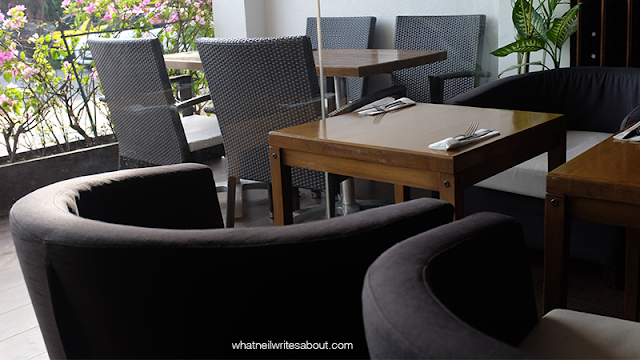 A finer casual cebu dining experience! One of my friends whose parents have travelled to Paris, France said that Tymad makes one of the best Kouign Amanns outside of Paris. Knowing full well that my friend's mother is a picky eater, made me very excited to see if it were true. 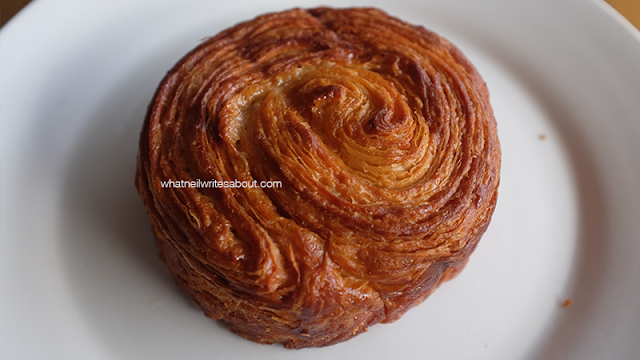 One of the best Kouign Amanns outside of Paris! Tymad opens early at 7 AM and we got there, the pastries were just hot off the oven so we immediately ordered their Kouign Amann. Each thin sheet was crispy, flakey and sweet and as take your first bite, you can feel each layer break apart in your mouth as it releases the flavors of the flour, the butter and the cinnamon. It was spectacular. Aside from the Kouign Amann, we ordered two Eggs Benedicts breakfast set and one Big Breakfast set. 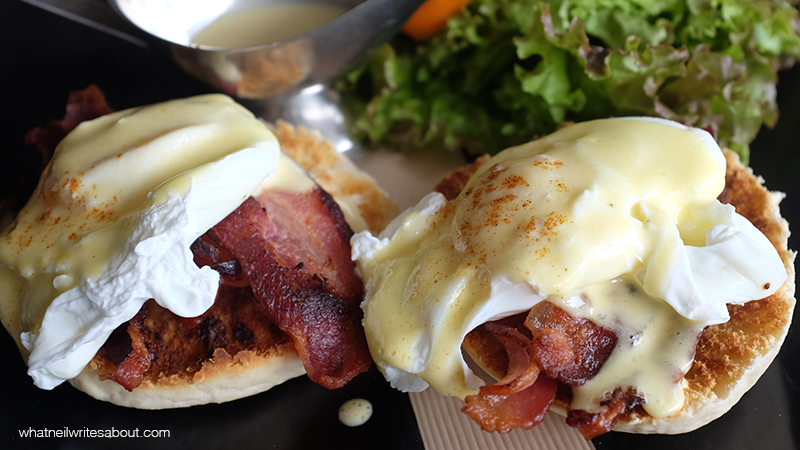 I found that the vegetable salad to be fresh but not the best out there while everything else like the poached eggs, the crunchy bacon, the fresh salmon, the oven-fresh toasted bread, and the sauce to be absolutely delicious. 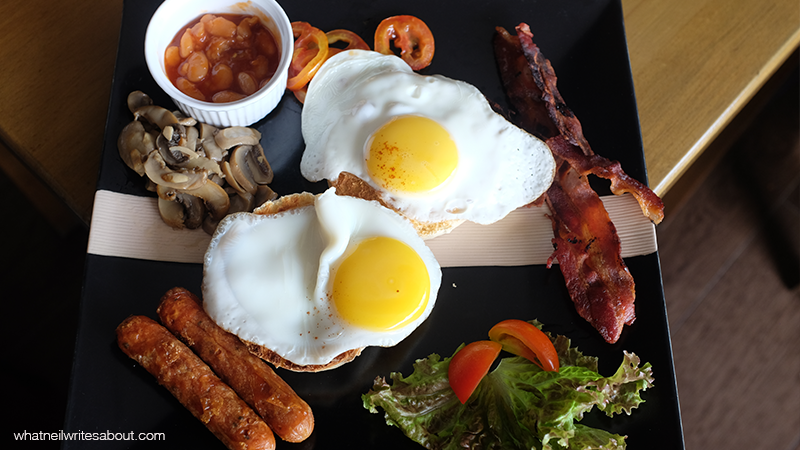 The sausages, the beans and vegetables from the big breakfast was good but not spectacular like the rest of the dish. The eggs, the bacon and the mushrooms were exquisite. 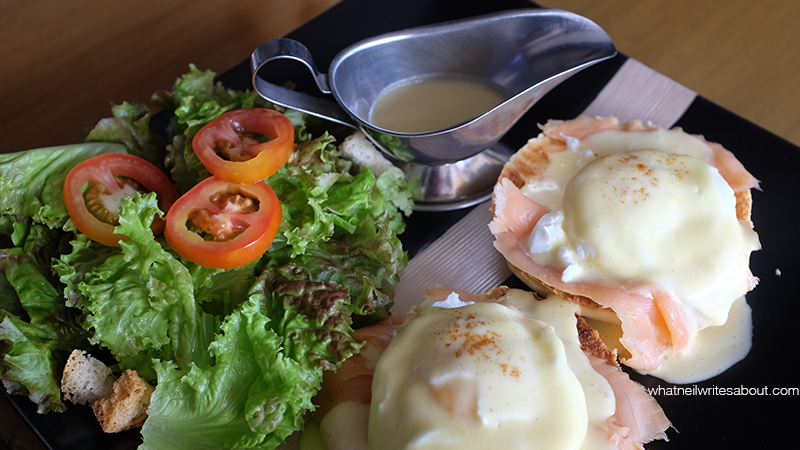 The Salmon Eggs Benedict with Vegetable salad! It was clear why Tymad has a hair higher pricing that most Cebu establishments, but it was well worth it. It's not that high of a premium though, Metro Manila still has higher pricing from my experience. 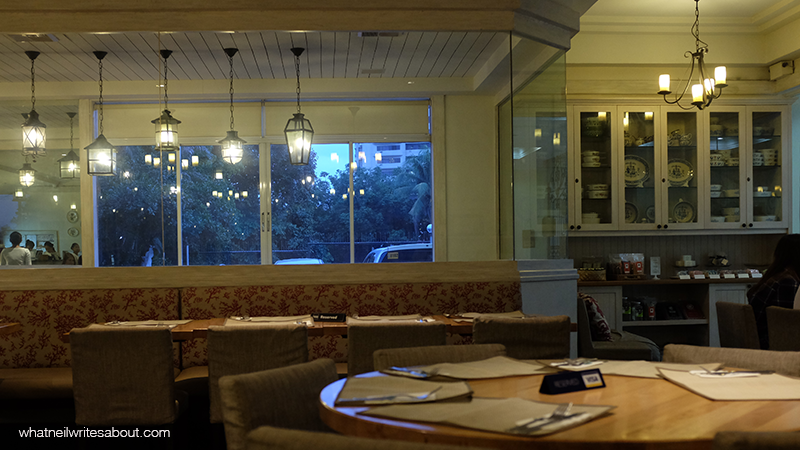 Wonderful Ambiance at Cafe Georg! Cafe Georg was a pleasant surprise because my friends who have been to Cebu prior to my trip said that Cafe Georg wasn't as great as they used to be. What surprised us was how great the dishes were. 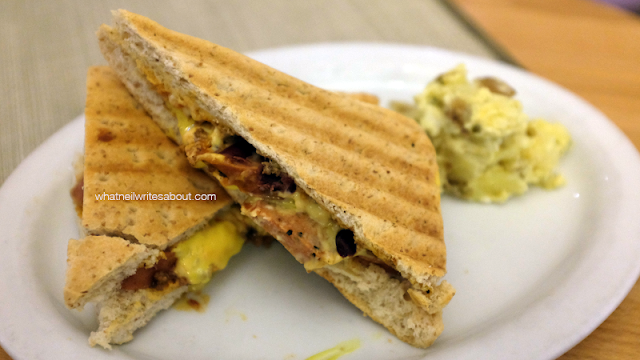 In fact, they offer dishes that are better than some of what we have in Manila. The dishes offered are a fusion of classics from different cuisines with their own twists. 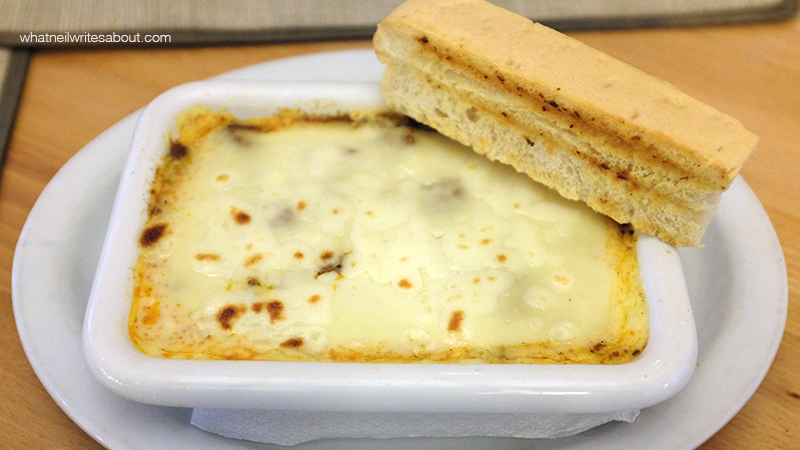 I love their All Beef Lasagna because of how creamy it was, and how the beef flavor was the star but was complimented by the cheese, the ragu sauce and the toasted bread. I couldn't get enough. We also tried a satisfying sandwich that we had to share to finish, and the Kimchi Fried rice which was okay, but I have had better. It was fun. I would come back to try the other dishes. 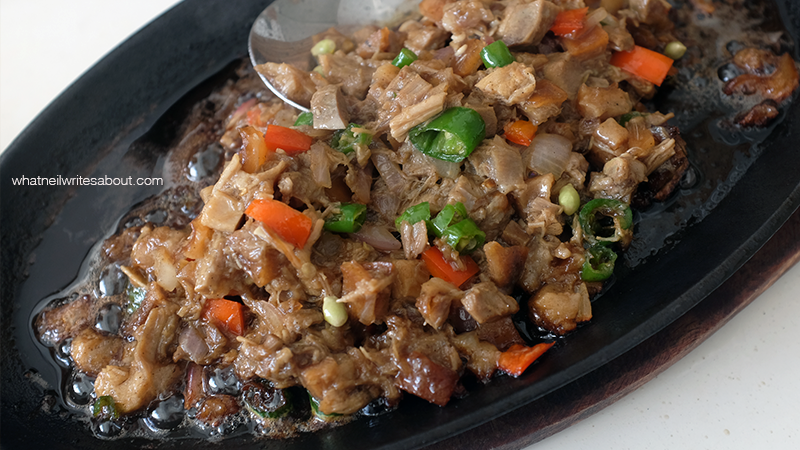 Rico's Lechon Sisig is amazing! 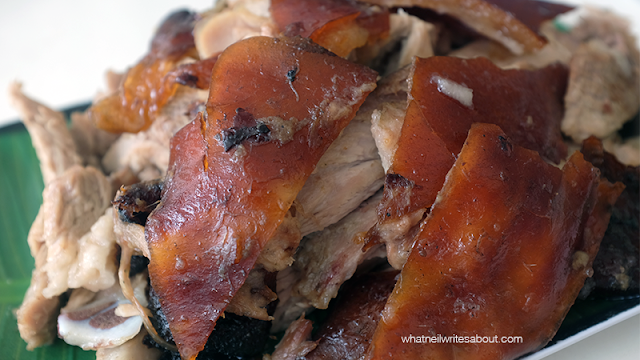 It's not mind blowing but it's good enough to try whenever you are in Cebu! You can't go wrong here! So to summarize, we loved Yolk, Rico's Lechon, Tymad and Cafe Georg that we would visit them again when we get the chance to visit Cebu. What do you guys think of our list? Do you agree or do you have recommendations? Tell us at the comment section below!